…. there’s a new kid in town. Another skill I’ve picked up recently is graffiti writing. It was for a project for the KLC course where we were asked to come up with a concept for The Chelsea Fringe. This is a garden festival which takes place in London in late May and early June. My idea was inspired by the John Lennon Wall in Prague, a wall in a secluded square opposite the French embassy, where, after Lennon’s death in 1980, his image appeared along with Beatles lyrics and political messages. Despite repeated coats of whitewash, the secret police never managed to keep it clean for long. After the Velvet Revolution in 1989 the messages became less political. But visiting tourists began to make their own contributions. 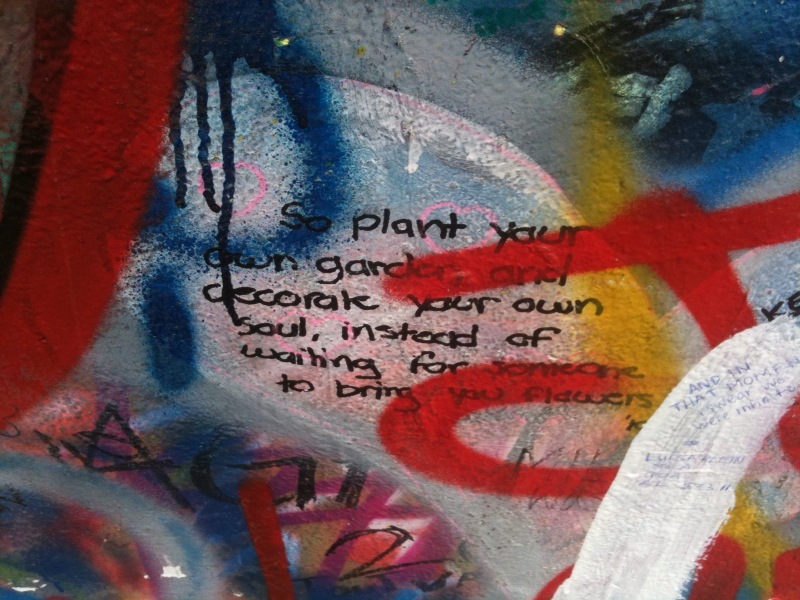 On a visit to Prague in 2011 we went to the wall and I noticed a quote which really leapt out at me. When I got home I looked it up and found out that it came from a poem called Comes the Dawn. I thought of this quotation and the impact it had made on me when we were asked to come up with ideas for The Chelsea Fringe. So my suggestion was for an installation to be utilised in areas across London where green space is limited. The installation would comprise of a vertical patchwork of living plants and flowers – a living wall interspersed with garden related quotations, blank spaces for people to add their own garden inspired thoughts, and receptacles for seed packets so that those inspired to do so could go away and begin to ‘decorate their own souls’. 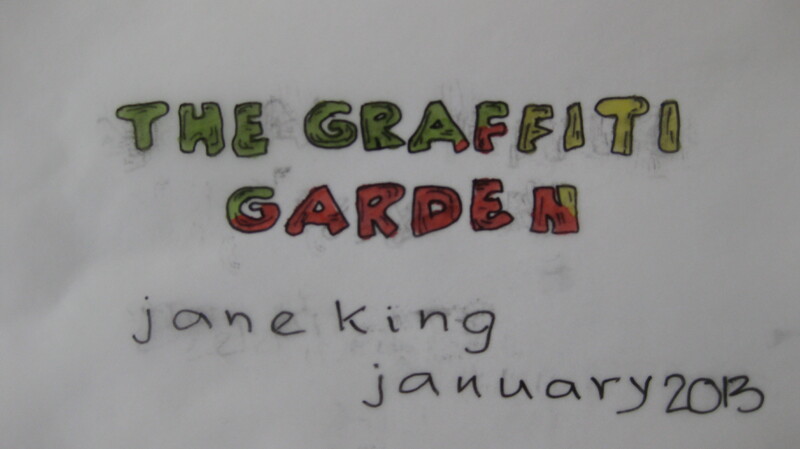 And for my concept board I learnt how to do graffiti writing. … and watch out Banksy.